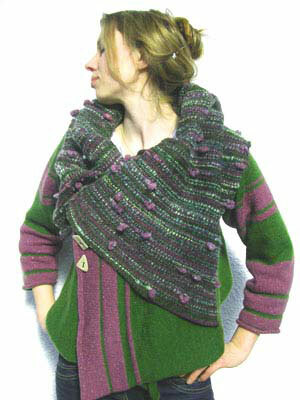 I create unique knitwear – using mostly British yarns that can be worn in many ways. 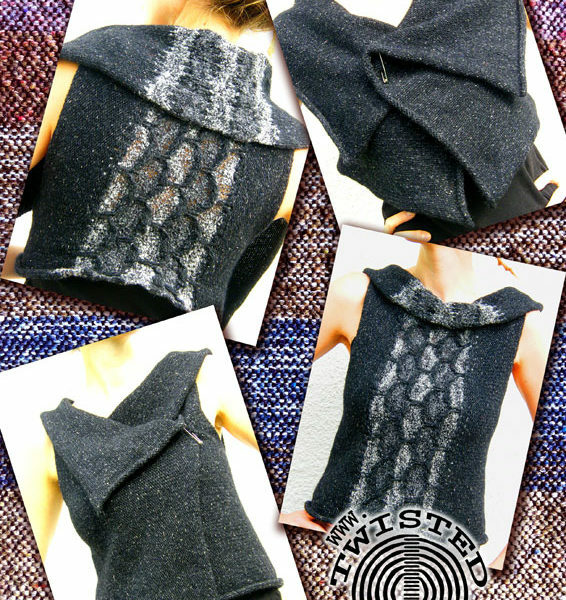 The ‘wear many ways waistcoat’ designed so that you can get many looks from one piece of clothing. 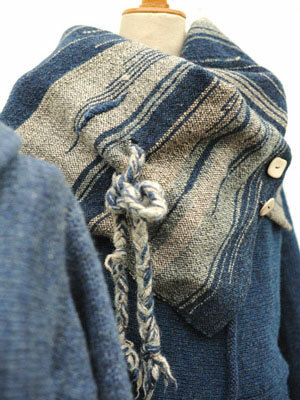 I combine Saori weaving using handspun yarns and unusual fibres with knitwear to make one-off pieces of clothing that can be worn upside down! Using raw, local sheep’s fleece that I wash, dye, spin into ‘art yarns’ and weave into collars for coats.